Phil’s riff from the beginning of his solo album K-scope, which was the basis for the track “No Church in the wild ” by Jay Z and Kanye West continues to garner awards and acclaim .Featuring also Vocals by Frank Ocean the track won a 2013 grammy for best Rap/Sung Collaboration, It has now been used in The Denzil Washington film ‘SafeHouse,’The Great Gatsby’, and 6 Dodge Dart Commercials for Chrysler USA,aswell as the trailers for the BBC series ‘Ripper Street.’. 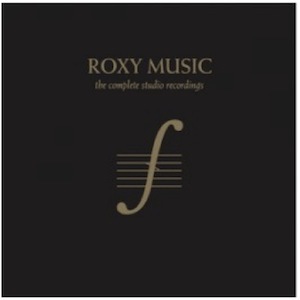 The first complete Roxy Music box set to be released on CD, the Complete Studio Recordings includes each of the eight Roxy Music Studio albums released in the ten year period of 1972-1982, on CD plus two discs of bonus tracks containing tracks previously unavailable on CD. Each album has been taken back to its original form. Audio 2012 flat transfers from the original analogue master tapes (not the 1999 remasters), ensuring the audio sounds truer to its original LP sound. Debut album from Roxy Music, released: 16th June 1972. Peaking at #10 during a 16 week run on the UK album charts. - Cover photo by Karl Stoecker featuring model Kari-Ann Muller. The 3rd album Stranded was released on 23rd November 1973. The album reached the top spot on the UK album charts in the 2nd week of a 17 week run.- Cover features Marilyn Cole -1973 Playmate of the Year - The album included the hit single “Street Life” c/w “Hula Kula” reaching number 9 in the UK singles charts.- This album introduced Eno’s replacement Eddie Jobson a multi-instrumentalist who took over the keyboards and synthesizer role but also added a new dimension with his violin arrangements and soloing. Released: 31st October 1975, the album charted at #4 UK album chart. - Cover features model Jerry Hall (pictured on rocks at South Stack Lighthouse in Anglesey)- “Love is the Drug” c/w “Sultanesque” was the first single released from the album – charting at #2 in the UK (covered by numerous people including – Grace Jones and Kylie Minogue)- For the first time, Roxy Music release a second single from an album this time “Both Ends Burning” c/w “For Your Pleasure (Live)” reaches number 26 in the UK singles chart. Released: 23rd May 1980; charted at number 1 in the UK (for one week in June and then for another three weeks in August, it spent 60 weeks in the UK album chart). - Singles released: “Over You” (UK #5): “Oh Yeah” (UK #5) and “Same Old Scene” (UK #12). “In The Midnight Hour” was also released as a single in USA & Portugal.- Roxy Music was a three-piece consisting of Bryan Ferry, Andy Mackay and Phil Manzanera at this point, as Paul Thompson had left the band. 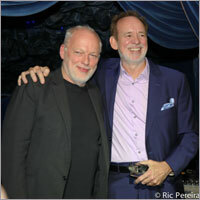 Phil Manzanera returns to the city where he first began learning the guitar, aged 6 years old, back in 1957. Phil will be playing in concert with his longtime friend, Augusto Enriquez, the celebrated Cuban singer. Phil is also delighted to announce that Jack Bruce, the legendary bassist and singer from Cream, will be appearing with him at this not-to-be-missed very special concert. The concert will take place on 27 February at Havana’s famous Karl Marx theatre, as part of the annual Habanos Festival. It’s a return visit for Phil, as he last played this venue in 1992 and recorded there the first ever multitrack live album in Cuba with Augusto Enriquez’s band, Moncada. The album, ‘Manzanera Moncada Live at the Karl Marx,’ was released on Manzanera’s label, Expression Records (www.youtube.co/watch?v+BZ6e7sdBntM). Phil is greatly looking forward to playing alongside the great Jack Bruce: they have previously performed together at the Guitar Legends Festival in Seville in 1991 (www.youtube.com/watch?v+MZDmj7Kuw70) and at the San Remo Music Festival. ExpressionRecords.com powered by:WordPress and Tubemap queries. 0.142 seconds.